Yes I’ve been away friends to the Isle of Spice to be precise. 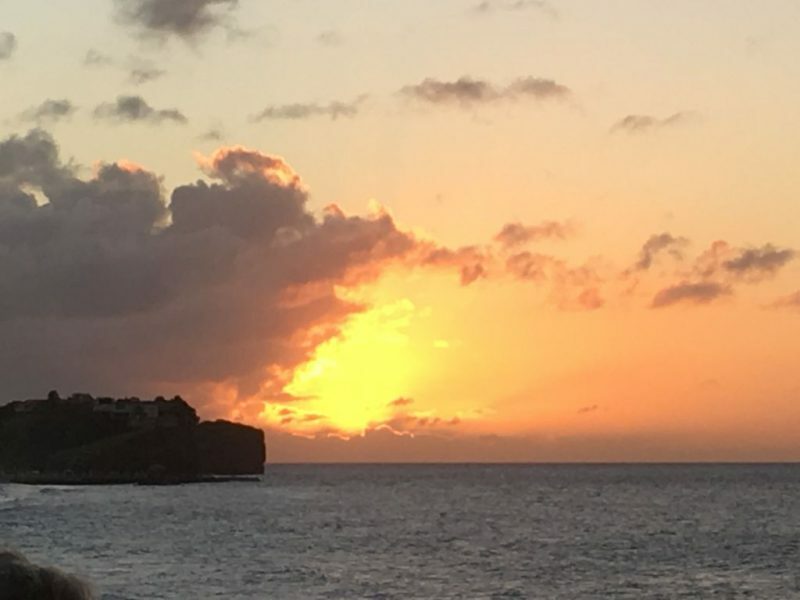 Grenada. 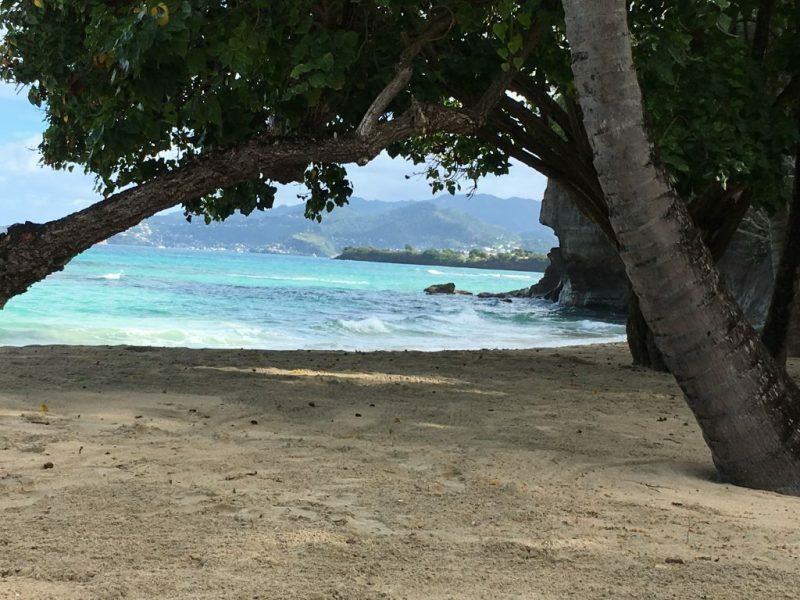 A little gem of an island in the south of the caribbean. The Editor and I enjoyed ourselves for a week there. So nice. I brought the laptop so I could write a post on the plane ride over but I ran into a problem downloading my pictures so it was never meant to be. After a few rum punches the thought of writing was off the table anyway. But I digress. I hope all is well in your neck of the woods and the winter months aren’t treating you too harshly. Glad to have you back. 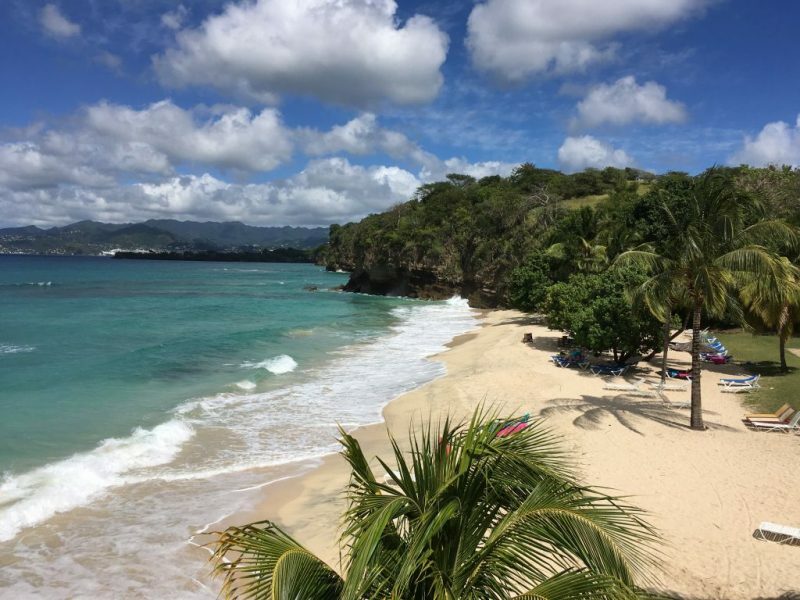 For those of you who have been with the blog for a while you might recall that I’ve been to Grenada before. (I actually tried to leave my mother-in-law there once but after 5 minutes with the people in customs they gave her back. It was a valiant effort on my part as I recall.) Very few Americans there. Mostly Canadians and English. Although we heard German and Russian methinks. I actually went diving with a Canadian, a Russian, and a guy from the United Kingdom. Just a picture or two and I’ll move on. 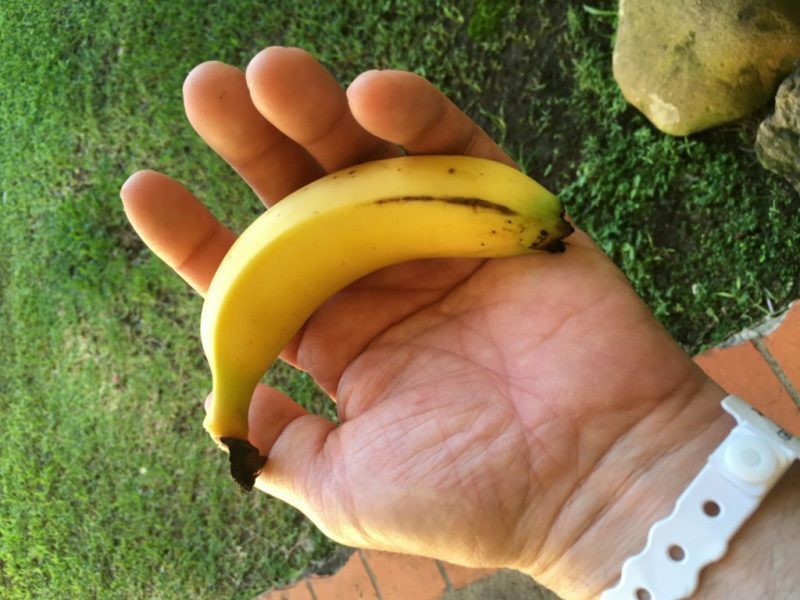 So the bananas that were served at breakfast were all small. As you can see they were way smaller than the ones we get at our supermarkets at home. And these ones taste way better. They’re like creamier. Delicious! View of the beach from the pool bar. It’s weird. We got back home and I drove around a bit. The colors down there are fantastic. It’s so nice to just be outside without a coat on. Anyway let’s get started. The Super Bowl is today and I’m going to run out of time later on. Hoping for a good game at the very least. 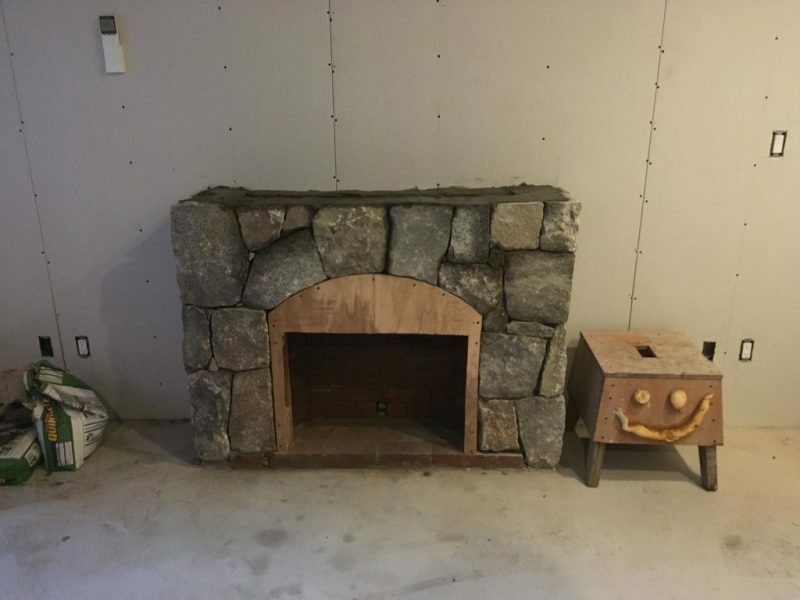 So they finished up the fireplace while I was away. It was pretty cool to see it all go up day by day. I’m happy with the way it came out. Check out the process. 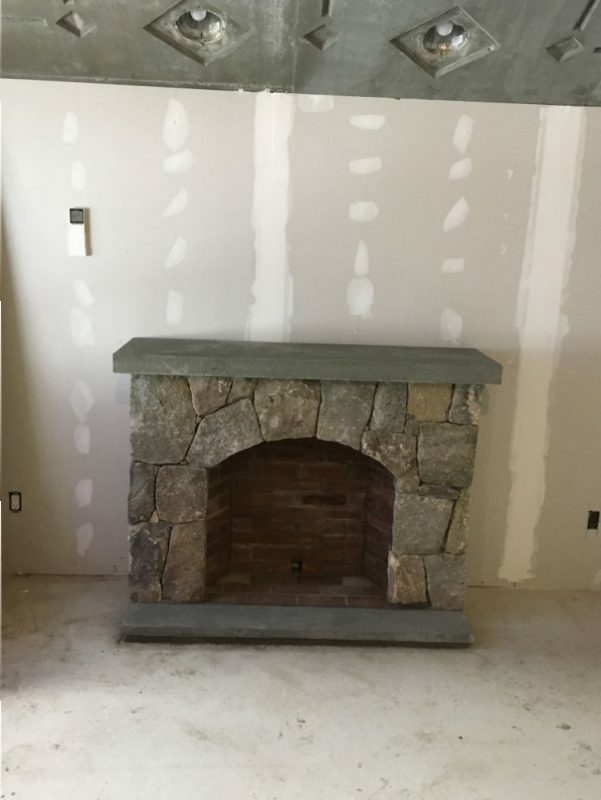 Top it off with a bluestone cap and bluestone hearth. 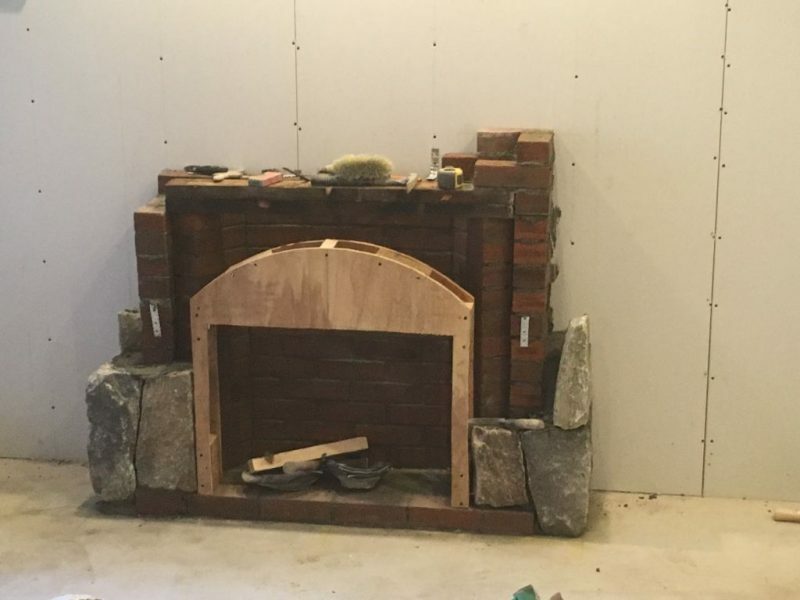 Hobbits love arched fireplaces. Not bad. It fits in well with the size of the room. I also had the taper start while I was away. He’s got a ways to go. I think he only worked two or three days. Before I forget the sheet rocking nearly killed me. I was working 11 hour days trying to get this done before I left for Grenada. There are still a couple of things that need to be addressed. 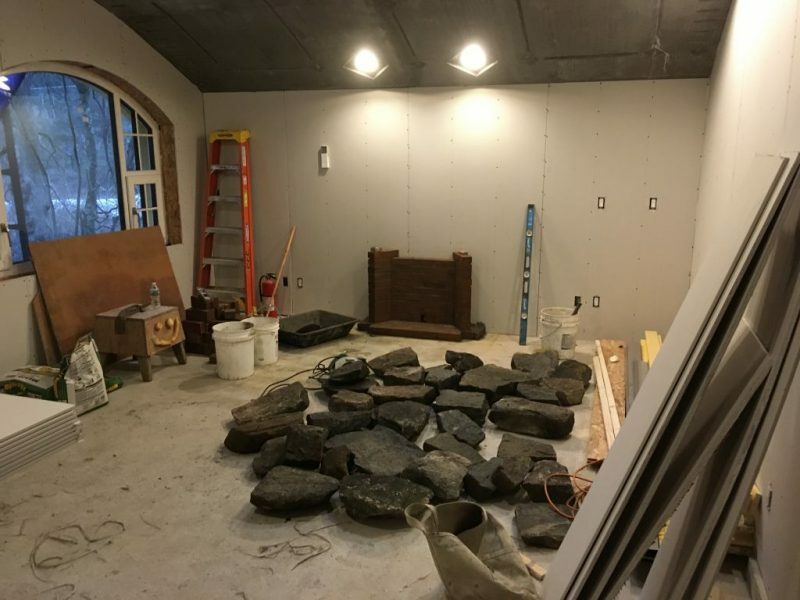 I did use water on the sheetrock to bend the rock to fit the archways. It took a lot more time than I thought it would but it did work. The next step is to get the HRV installed. I’m going to be doing that this week if all goes according to plan. Good luck with your Super Bowl picks and I’ll see you next week. PS: A few more pictures from the Isle of Spice. Sunset from the pool bar. View from our spot on the beach. 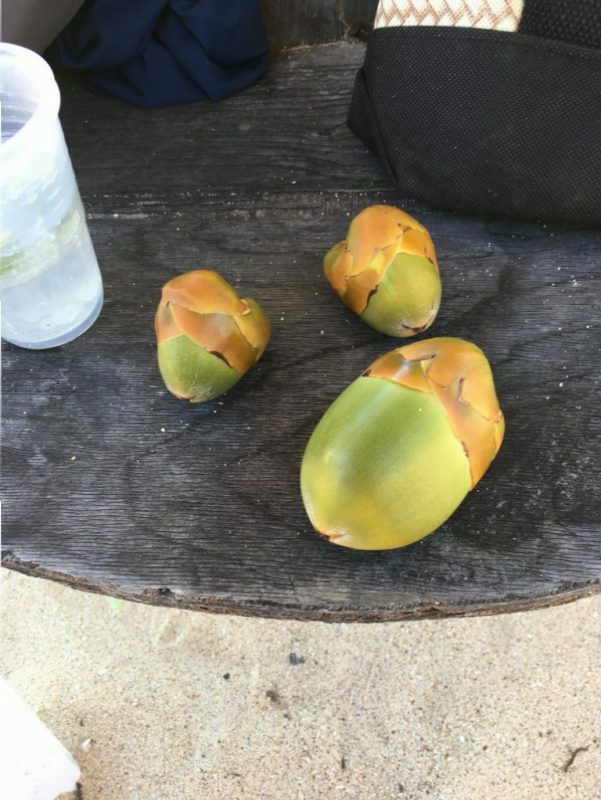 I saw these baby coconuts fall off the tree next to me. I don’t know why they fell off so early on. I thought they had to get big before they fell? Sally H.? 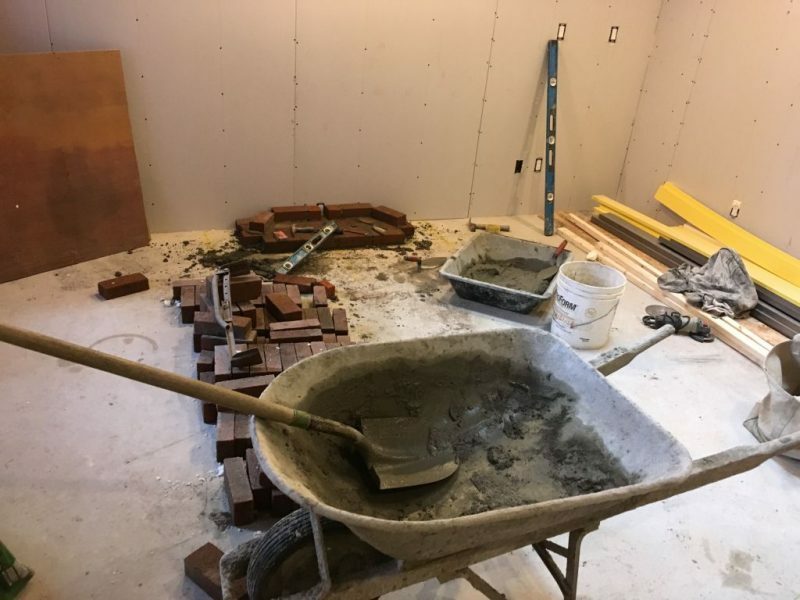 Of HRV’s and Salamanders……Hey!!! I went to the Island of Spice Too! Hey John thanks for writing as always. Yeah the homestretch. This is a considerable home stretch! A lot of little details that are taking a toll on progress. Almost done with the Zehnder HRV. A couple of hours tomorrow and we should be ready for commissioning.